"I feel great that my dad is finally free from that crappy hole," Michael Carroll said Thursday, two days after his sons found human bones in the basement of his family's Olive Street home. The sons of a man who disappeared almost 60 years ago say they are convinced human bones found in the basement of the family’s Lake Grove home are the remains of their father. 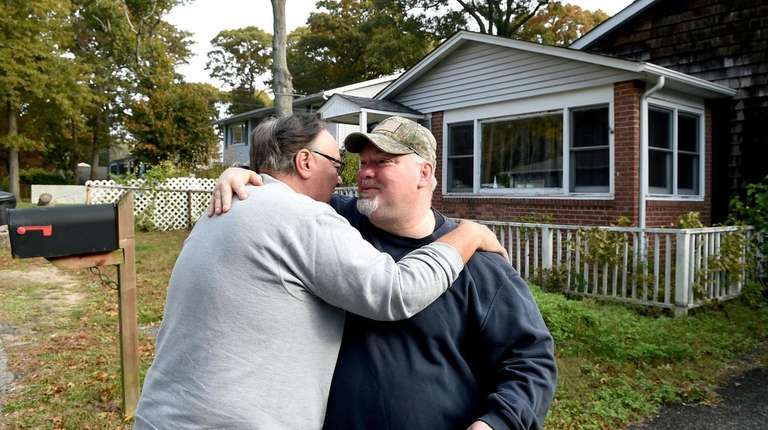 Steven Carroll, 61, and his brother Michael Carroll, 57, said they have tried everything — including ground-penetrating radar, psychics and paranormal investigators — to find out what happened to their father, George Carroll. Then on Tuesday, the brothers said human remains were found by Michael Carroll’s adult sons, Christopher and Michael Jr., who spent several months excavating the basement in an attempt to solve a half-century-old family mystery. “I feel great that my dad is finally free from that crappy hole,” Michael Carroll said Thursday, two days after his sons found the remains. 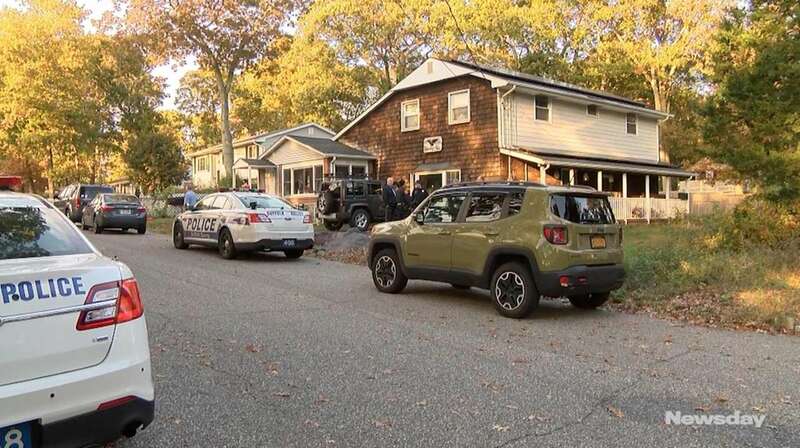 Suffolk police said they will use dental records, if available, and DNA testing to determine if the bones found in the basement of the Olive Street home are indeed those of George Carroll. 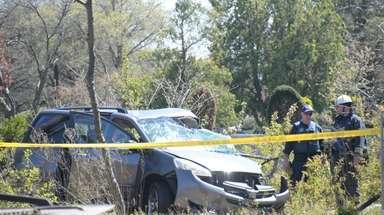 It could take months before authorities can make a determination, Suffolk Chief of Detectives Gerard Gigante said Thursday. But Steven Carroll said he is certain the bones found in the basement belong to his dad, a veteran who served in the military during the Korean War. He hopes to have them interred in Calverton National Cemetery. 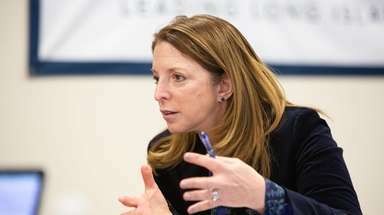 Gigante said police do not believe George Carroll was ever reported missing, but investigators are scouring through old records to determine if a report had been filed. Gigante said police do not yet have any clues about how the person found in the basement might have died. Michael Carroll, who purchased the home from his mother in the 1980s, said a psychic and “a person close to the situation” told the family their father’s remains were somewhere in the basement of the house, which he said was built in 1925. He declined to identify both parties. One of his sisters arranged for a team of paranormal investigators to visit the home in June, Michael Carroll added, and they told him they detected an “energy” in the three-bedroom home when they returned this week to share their findings. He said he is skeptical about paranormal phenomena, but claimed odd things have occurred in the house: A visitor once told him he had seen the shadow of a man in the home, and he said lights have been mysteriously turned on. Michael Carroll said he began digging in the basement a few years ago in an attempt to find his father’s remains but stopped because he feared he would cause structural damage to the home. He resumed the hunt for his father after an associate used ground-penetrating radar in the basement, which indicated a place where there was a disturbance in the soil — a rock or a body — 5 or 6 feet below the surface. His sons took over the dig a few months ago. The work was sometimes difficult, their father said: At one point, they had to cut through concrete walls that surrounded an old well. 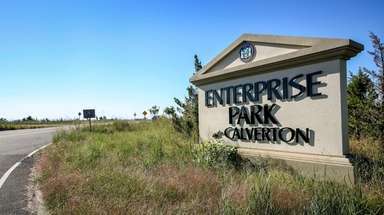 They found human bones near what had once been the well about 10 p.m. Tuesday. He said the family may never know how George Carroll died, but a large burden has been lifted thanks to the discovery of the remains. 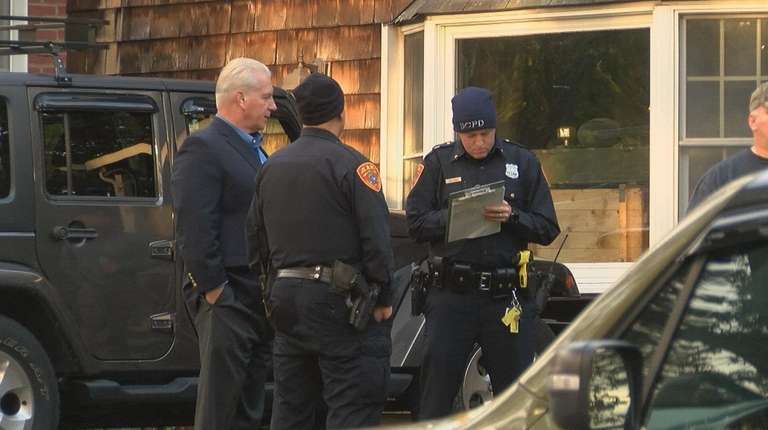 Police: Human bones found in LI home's basementDNA tests may tell a homeowner and his siblings if the remains are of their father, who disappeared around 1961.